Shop for Electrolyte Solutions at Weldfabulous. Electrolyte Solutions are for weld cleaning and passivation applications. Stainless steel marking electrolyte is also available. 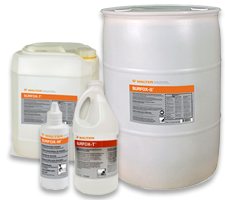 Walter offers safe electrolyte products for your project needs.